Find TLA at iNACOL 2018! We are looking forward to seeing many of you next week in Nashville at the 2018 iNACOL Symposium! We are looking forward to seeing many of you next week in Nashville at the 2018 iNACOL Symposium: Driving the Transformation of Learning! The Learning Accelerator (TLA) is thrilled to be presenting alongside many of our partner organizations and education leaders on numerous important topics in the blended and personalized learning space. Sessions are detailed below, we hope you'll join us in person or on Twitter @LearningAccel! This day-long research community meeting, held by TLA in conjunction with Michigan Virtual, will foster a space for researchers, practitioners, and other stakeholders to come together and network, discover funding opportunities, and drum up collaborative prospects. Attendees will have the chance to gain and give practical, applicable insights into building the evidence base for K-12 online, blended, virtual, and competency-based learning initiatives. We will host panel discussions featuring funders, administrators, educators, policymakers, and developers around their different research needs and wants. Panels will be followed by facilitated, mixed-role, small group discussions about a path forward for research. TLA’s Blended Learning Networks, Researcher-Practitioner Partnerships, and Learning Agenda will also be shared as a basis for facilitating sustained connections and next steps in moving this work forward. 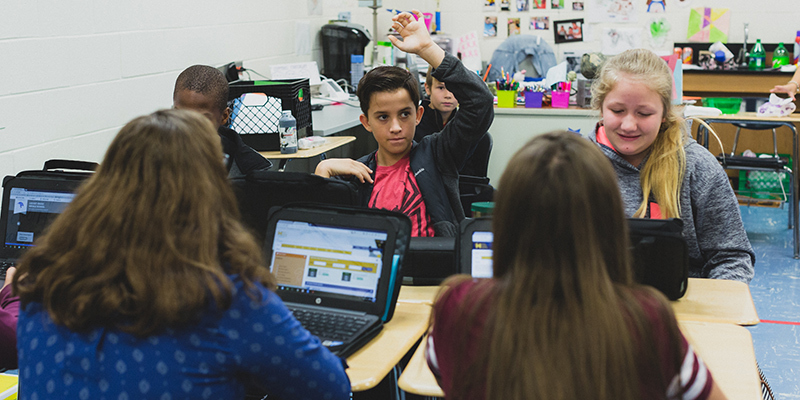 Schools across the country are transitioning to personalized learning and from these pioneers we have learned how critical strategic communication is for success. Education leaders must prepare thoughtful and effective messages and deliberate approaches to gain buy-in and overcome misinformation. In this workshop, presented by TLA, ExcelinEd , and Education Elements , attendees will receive national message testing results, develop their own key messages, and share lessons learned from recent district and state efforts to communicate about personalized learning. Join a group of education leaders from Henry County Schools, the Carnegie Corporation of New York, InnovateEDU, TLA, and Lindsay Unified School District for a discussion of talent systems to support innovative learning and new school models. The conversation will focus on the changing role of the educator in innovative school models and aims to demonstrate varied perspectives leading in the field of teacher preparation, human capital system design, and supporting educators with tools, structures, skills, and ways of working that meet the needs of a changing context. In this interactive knowledge sharing session from Next Generation Learning Challenges, 2Revolutions, and TLA, we get to rethink what educator learning should look like to support transformation. This will entail a deep dive into rethinking the how, why and what of professional learning, as well as the enabling conditions. Participants will then get introduced to and get the chance to engage with a rich array of free and open professional learning content produced by 2Revs, TLA, and a broad set of partners ( Center for Collaborative Education, EdSurge, Highlander Institute, High Tech High, Institute for Personalized Learning, Jobs for the Future, Next Generation Learning Challenges, reDesign, Southern New Hampshire University). The session will close with a facilitated action plan to support concrete next steps to moving you toward next generation learning through the vehicle of educator learning. Research shows that family involvement is a critical component for student success, and especially so when families are involved in student learning. However, approaches to personalized learning can often leave families out entirely. How can we meaningfully include families in personalized learning? How can technology strengthen the relationships between teachers, students and families? Draw from the expertise and experience of representatives from the Carnegie Corporation of New York, TLA, Learning Heroes, and PowerMyLearning, to explore solutions, innovations, and strategies for elevating parents as true learning partners. This interactive session, held by Connections Education, TLA, and Clark Consulting, focuses on new research and evaluation methods intended to bridge the research-to-practice disconnect in personalized, competency-based online and blended learning. Research and evaluation results are often not shared effectively with educators or used to improve program practice. Presenters will interact with participants about barriers to evaluation use, specific areas they would like to evaluate in their program, and use-focused methods/tools they might use to carry out such an evaluation. So often in education, we spend time, money, and energy planning, developing, and implementing new initiatives, pouring our hearts and souls into a new effort – only to see it dissipate in a couple of years as funding goes away, as barriers are encountered, or as something else becomes more important. How can you avoid seeing this happen to your blended and personalized learning initiatives? How can you make your innovation “stick” and create an environment conducive of scale? Join this panel of experts from Afton Partners and TLA for an interactive discussion on Innovation Sustainability and start thinking long-term. Creating and implementing innovative school models is hard. The work is hard – we were all doing it alone. The Community of Innovative Practice was established to provide a safe, honest space for practitioners of personalized learning models to discuss challenges in the work. The CIP is an exclusive network of educators that are committed to sharing ideas, contributing resources, and collaborating on common challenges in order to enhance our ability to be effective leaders. Attend this session from TLA, Summit Public Schools, Renton School District, Transcend Education, and LEAP Innovations to learn more. Female leaders face unique challenges getting to and staying at the top. Diversifying gender leadership is critical in education, where women make up the workforce majority but see dwindling representation in top roles. Join a team of lady bosses from a variety of organizations including TLA, Yet Analytics, the Chan Zuckerberg Initiative, Catalyst:Ed, and InnovateEDU to engage in a conversation about the realities of being “Chief” at work and home. We'll share personal and professional strategies, support, sanity hacks and tackle how companies can grow and sustain more female leaders. While individualization lies at the heart of many blended and personalized approaches, educators face unique challenges when designing and implementing instruction for learners with special or complex needs. In this session from TLA, the National Center for Learning Disabilities, and Henry County Schools, attendees will explore specific, concrete ways to ensure learners are being given every opportunity to reach their highest potential through the exploration of strategies in three areas: instructional planning, ensuring rigor and high expectations, and classroom staffing. Educators strive to make sure every child they teach is effectively and equitably engaged. Integrating technology with in-person instruction through blended learning can be a powerful mechanism for achieving this goal and personalizing for students in innovative ways. This interactive, learner-centered session from TLA, Lindsay Unified School District, Leadership Public Schools, and Distinctive Schools offers expertise and tangible resources for leaders and educators seeking to shift their practice immediately through real-time data use, personalization, mastery-based progression, and much more. Thank you for your support, and we look forward to seeing you at iNACOL soon!